Jerry Brewer a former CIA officer and currently has a firm Criminal Justice International Associates a global risk assessment and threat mitigation. Since our last interview with Jerry Brewer last August in 2012 the dynamics of the “Mexican Drug War” have morphed into what is essentially a War against organized crime throughout the Americas. 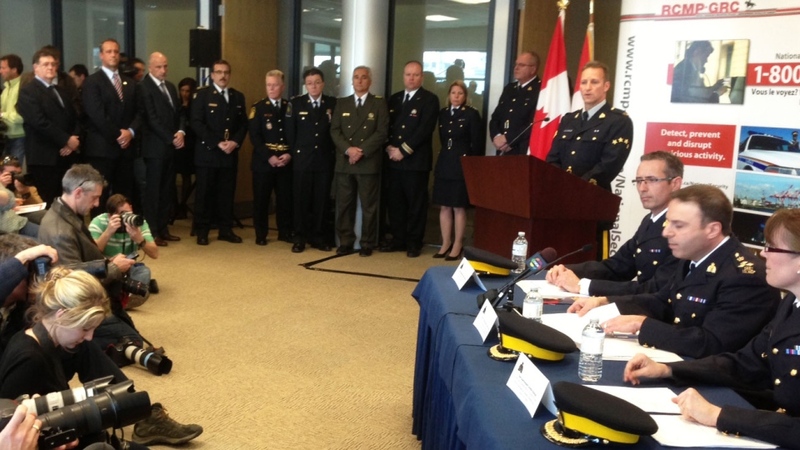 While we discussed last time how this would (and has) affect the US and Canada, there is a new enemy that is made up of a myriad of foreign nationals focusing on MUCH more than drugs. "Wealth Redistribution Hugo Chavez Style" And Was Chavez worth over $1bn when he died? Today in our today's show live from Florida is Mr. Jerry Brewer is a 'former" CIA 'officer' in the Counter-terrorism Center , has served the U.S. government as a counterterrorism specialist- practitioner and senior trainer with extensive operational activity in Latin America and the Middle East as an intelligence community operative, we will explore Hugo Chavez Worth when he died. My name is Samuel Ezerzer, your host to the Money & Business show on Radio Shalom, CJRS 1650 AM. Thank you for tuning in live on the Money & Business show, with our Business studios headquarters in Montreal, the financial capital and the home to the greatest hockey team, the Montreal Canadians. We have another great show for you today and as always, you can call if you have any questions, comments, or criticisms on today's topic. Please call us direct at 514 738 4100 ext 200 or email me at moneyandbusinessshow@gmail.com if you have any inquiries. You can also visit our website at http://www.radio-shalom.ca/ – all our shows are archived there. Mr. Jerry Brewer is a 'former" CIA 'officer' in the Counter-terrorism Center , has served the U.S. government as a counterterrorism specialist- practitioner and senior trainer with extensive operational activity in Latin America and the Middle East as an intelligence community operative- with a fluency in Spanish. 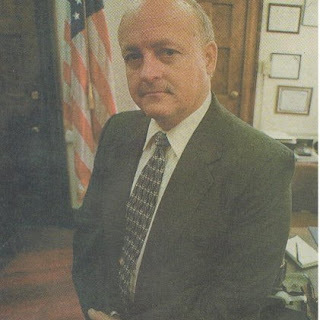 With over thirty years of professional managerial and leadership experience in the field of Criminal Justice (fifteen years as Chief of Police in 3 states); Jerry’s awards include U.S. Congressional and State Senate and House, honors. He is a published author. columnist, keynote speaker, consultant, and expert witness on extensive international criminal justice topics- Intelligence; terrorism/counterterrorism; transnational organized crime and drug cartels; policing; leadership; major case criminal investigation/homicide. and related world events He is the President and CEO of Criminal Justice International Associates, A global threat mitigation Firm located in northern Virginia." Let’s move forward on terrorism to the recent bombing in Boston. Before we talk about the incident from the moment the bombs exploded and forward to currently; what could have been done to prevent this if possible, and what do counterterrorism experts such as you look for and do to interdict terrorists proactively? A- First off, it would be nearly impossible to stop any threat that is intricately planned, organized, structured, supported and moves forward with patience; adhering to a rigid and strict operational plan. Without informants (whistleblowers) a well organized team effort can prevail against a target. What counterterror experts rely on in attempting to interdict planned terror events is in the pre-attack stages of the terrorist’s attack cycle which is their weakest point. That cycle begins with the process of the terrorist selecting or identifying a target for attack. They do this by sometimes intense periods of surveillance of the potential victim or target site. They look for patterns, security issues, travel routes, and related routines where the victim/site is vulnerable tor attack. This period of surveillance could be very lengthy. This is where they can be eventually spotted by a trained surveillance detection cadre. The terrorist’s surveillance team will pay special attention to a location where the victim or victims can be controlled in terms of a flow, chokepoint, or channel with little chance of exiting safely. The terrorist must be able to blend in and have a position of cover to sustain his/her presence in the area; the place to control the victim, and a method/route of escape. Can you summarize what you know about the Boston bombing and what took place and was reported? A- As you know, the investigation continues to be fluid. Open source reports of the bombing can never be truly relied upon due to potential withholding of certain information or events for strategic investigative reasons or national security. My specific interest of the Boston (Marathon) bombings was the modus operandi of the two “named” terrorists. I apply the traditional terror cycle and immediately wonder if any pre-attack surveillance and assessment of the attack site was or could have been spotted previous to the operational act. Were cameras within the chosen site perimeter checked back further (prior to the date of attack) for these two actors and/or potential accomplices? 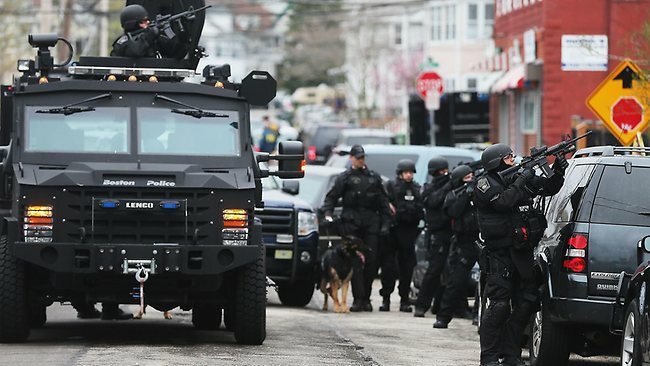 Were there false police calls for service to the immediate area; other emergency responders such as fire or ambulance/rescue; or other unusual events prior to the date of attack? to run or run away from the first explosion.The escape route for the terrorists was the side street away from the first bomb and they were able to move away effectively and timely; albeit the camera’s later would reveal their movement. What about many of the theories and best guesses by many as to the overall picture as to whether these two brothers were affiliated with anyone and had help with this attack- do you think they were trained in your opinion by traditional terrorism factions or networks? investigation, and what it means to Canada and the US for the future of potential aggressive attacks on both nations? A- From what I know, the RCMP accomplished an outstanding and “proactive” effort instrategically interdicting a terrorist cell in their planning stages for a major terrorist event that was designed for mass casualties that would have possibly affected Canada and the US. It was reported that the FBI was collaborating in this investigation and the plan entailed possible site(s) in New York. Effectively countering terrorism requires proactive strategies; intense and consistent training to police at all levels (local/county/state/federal/military); the sharing of intelligence along with proactive intelligence-led policing routines, and educating people in spotting and reporting suspicious incidents and actions. This nation cannot afford to simply be in a “reactive” posture to a terrorist’s plan of attack.